Swirl finish is one of the most exceptional type of concrete finish that is generated by concrete surface smearing in a uniform overlapping circular pattern. 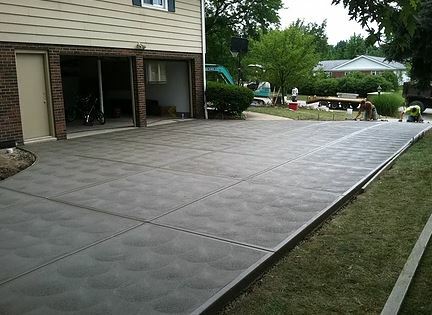 It provides aesthetically pleasing appearance for the concrete surface. it is said that; swirl finish looks like petals on a rose. This type of finish is favored for outdoor applications because not only does it practical but also provide safer walk and stand in comparison with smooth surface finish, specifically during wet season. How Swirl Finish is Made? By and large, the type of concrete finish shall be selected in such away that does not influence durability and strength of concrete in future. 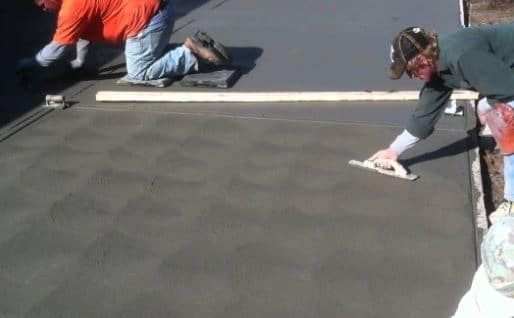 In this regard, swirl finish needs to be designed in a manner that prevent water trapping otherwise concrete would be weakens by standing water and possible lead to damages. Additionally, cleaning works shall be considered while swirl finish are selected to be used since this type of finish cannot be cleaned easily in comparison to smooth concrete surface. Generally, swirl finish is desired for outdoor applications because it practical and attractive and rough concrete surface provide safer walk or stand when it is wet compare with smooth surface. 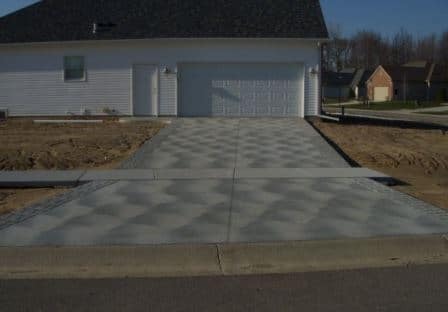 Examples of swirl finish applications include driveways, patios and pathways, and sometimes garages.